Healthwatch Croydon is able to enter and view all publicly-funded health and social care services premises – either as an unannounced spot check or at a previously arranged visit. 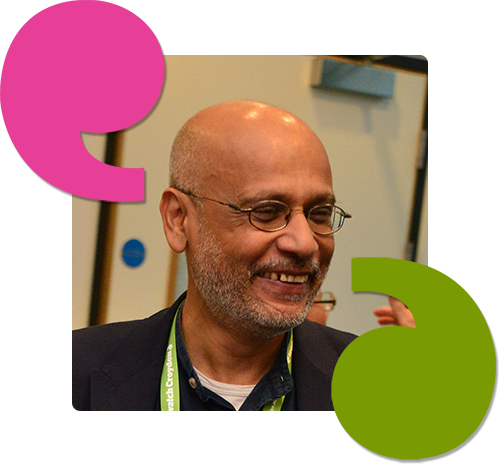 Healthwatch Croydon is committed to reporting on its findings to the providers and commissioners of services and, where appropriate, to the regulators. Healthwatch volunteers carry out visits to health and social care services in our district. Enter and View visits can happen if people tell us there is a problem with a service. They can also happen when services have a good reputation – so we can learn about and share examples of what they do well. Any publicly funded service can be visited like care homes, hospitals, GPs and dentists. Who undertakes Enter & View visits? What will happen after the visit? Our representatives will write a report about what they find out during their visit. The report will make recommendations for improvement, and also highlight good things about the service. Enter and View reports will be made available to the public. Healthwatch Croydon will work with the service to make positive changes based on our recommendations. The Enter and View Policy and Procedure. A report of the Enter and View undertaken at Morven House on 11 September 2017. A report of the Enter and View undertaken at Russell Villa on 14 March 2017. A report of the Enter and View undertaken at Dunheved Lodge on 13 March 2017. In response to an article in the Croydon Advertiser newspaper on 18th October 2014, Healthwatch Croydon directors considered that an Enter & View visit would be beneficial in order to look into issues and concerns raised in the newspaper article over the quality of care being provided to elderly patients and their general welfare at Croydon University Hospital. Elderly care is a key strategic priority for Healthwatch Croydon. You can see report and reply from Croydon University Hospital. Northern House is a care home that provides for adults with learning disabilities and mental health problems. Healthwatch Croydon undertook an Enter & View visit at this institution as elderly care is one of our key priorities. Overall the appointed representatives felt that the residents at Albany Lodge are well cared for and are given a reasonable degree of autonomy. Healthwatch Croydon undertook an Enter & Visit at this institution as elderly care is one of our key priorities. The appointed representatives reported that the nursing home felt safe and clean, with a calm atmosphere. Healthwatch Croydon CIC ARs were asked to conduct an Enter and View at Bethlem Royal Hospital following negative coverage of services in the local press and the recent Care Quality Commission and Trust Quality reports. The purpose of the visit was to look at the quality of care offered to patients in that setting. The visit was prompted by the chair of Healthwatch Croydon meeting senior staff of Virgin Urgent Care Centre who invited Healthwatch Croydon to come and visit at any time to come and see how services are delivered. Healthwatch Croydon’s advisory group saw the article in Croydon Advertiser by Gareth Davies posted on 20th November 2013 titled “CQC raises serious concerns about Urgent Care Centre”. Article was based on report on CQC inspection done in September. The reason for our visit was based on issues raised by our members and the general public relating to Accident & Emergency waiting times, environment and staffing levels. It was highlighted in the media that Croydon University Hospital was the second-worst in London for accident and emergency (A&E) waiting times. Waiting times, staffing, environment and A&E / Urgent Care joint working were raised as concerns in a recent Care Quality Commission(CQC) report. This report was based on issues relating to discharge policy and staffing levels at Croydon University Hospital. The team who undertook the report were keen to establish the level of progress made in implementing the Trusts Action plan in response to previous concerns raised about the treatment of older people at CUH.